Welcome To the Victoria Falls. 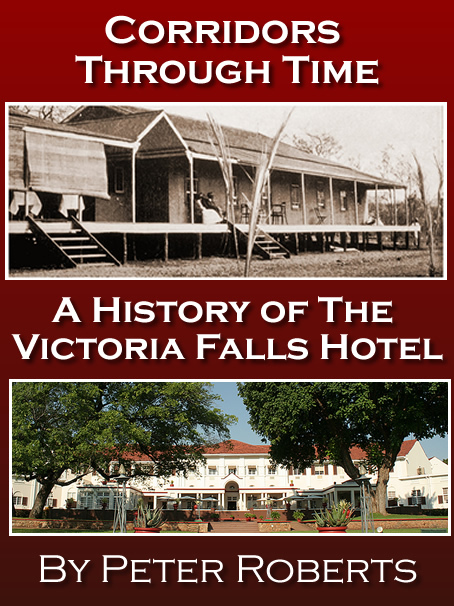 This website aims to bring you the wonder of the Victoria Falls through a look at its natural and human history. 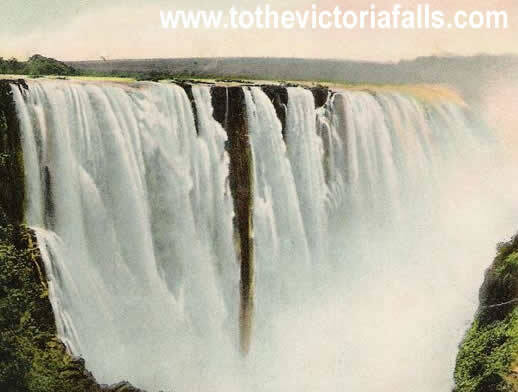 We take your through the history of the Victoria Falls, introducing the Victoria Falls and the Zambezi River, the formation of the Victoria Falls, the people of the Victoria Falls and their traditional culture, and the discovery of the Victoria Falls by David Livingstone and the explorers, traders and missionaries that followed in Livingstone's footsteps. 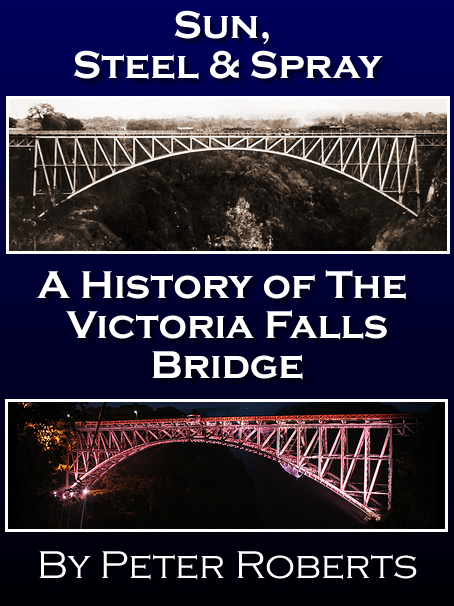 The main sections of this site focus on the development of the railway to the Victoria Falls, the building of the Victoria Falls Bridge, the Victoria Falls Hotel and development of tourism to the Victoria Falls. The Victoria Falls, in the heart of southern Africa, are, to those who have had the wonderful experience of witnessing them, one of the most spectacular natural wonders of the world. 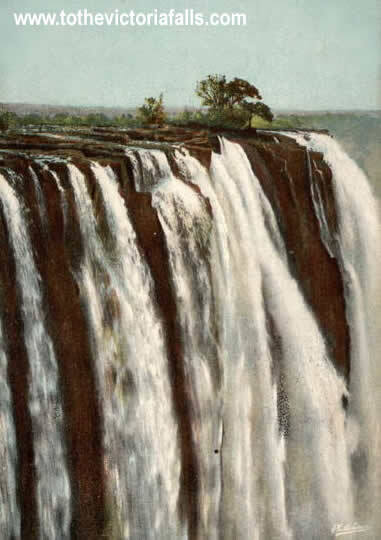 Descriptions, paintings and photographs can only do so much to illustrate the scale and power of the Falls, or the majesty of the Zambezi above the Falls. To experience the Falls is to not only see them, but to hear them, to feel them - the spray on your face and to taste it in the air. From the nearby town of Victoria Falls, you can hear the Falls at high water, the constant ever present roar of 'the Smoke that Thunders'. Above the Falls the Zambezi river is renowned for its beauty, again especially at high water, with banks and islands of luscious vegetation and abundant wildlife. Add to these sights the sounds of the river, the grunting of half submerged hippo, the hauntingly beautiful cry of the fish eagle and the constant background thunder of the Falls, and you have a small piece of paradise. It was this section of the river, and not the Falls themselves, that inspired David Livingstone, the famous missionary and explorer, to write: "scenes so lovely must have been gazed upon by angels in their flight". Livingstone envisioned the river as the means by which Africa was to be opened up to Christian civilisation and trade, and described the Zambezi as 'God’s Highway'. There have been many books and tourist guides published on the Falls, many remain out of print and unavailable to the visitor or researcher. 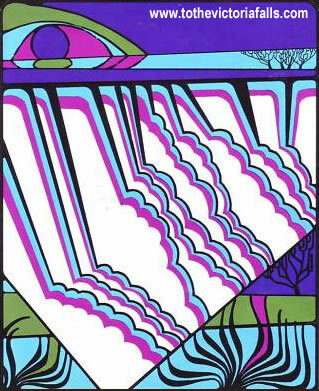 Many are so long out-of-print and rare that they have become collectable, and valuable, items to own. Even buying a basic visitor guide and map at the Falls itself can be difficult. 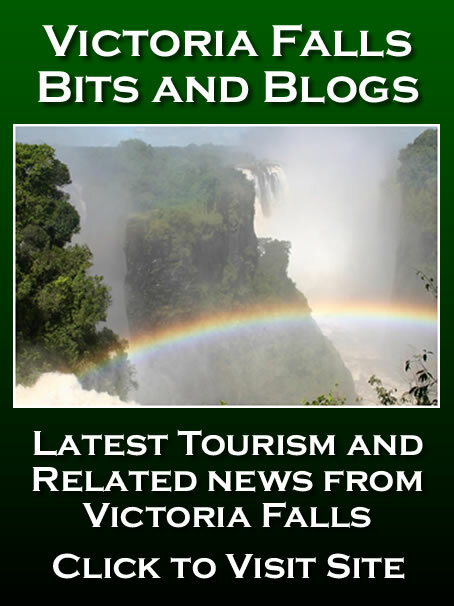 This site aims to fill that gap with an online information point, and the opportunity to download our pdf guide to the Victoria Falls (available soon). On this site we hope to capture some of the magic of the Falls by presenting information and images telling the story of the Victoria Falls. So if you haven't been lucky enough to visit the Falls, this is your online gateway to planning that trip of a lifetime. If you have visited the Falls, and perhaps know them well, I hope this site gives you a new and different perspective on them. So join us on a trip 'To the Victoria Falls', its history, people and wildlife. This website has been developed using information researched from a wide variety of sources, including books, historical magazine articles and printed papers etc too numerous to mention or credit individually throughout the text, although key references are listed at the bottom of pages and on our References page - and those which are available to download online are shown on our Links page. The site is work in progress, and the text supplied on the following pages is currently in draft form. Apologies are given in advance for any errors, mistakes and missing bits. If you spot errors or mistakes in the text, or know of additional information, images, references or links which you think may be of interest to us in developing this site, please Contact Us, we'd love to hear from you. 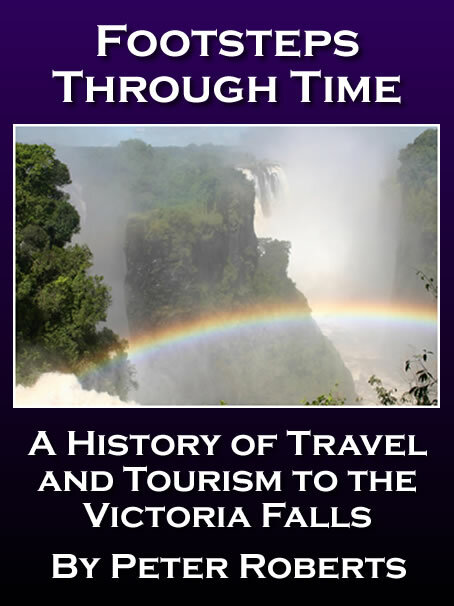 The research and compilation of this information online is a personal project which hopes to share some of the magic that the Victoria Falls inspires in the writer. The information, photographs, references and links are all provided in the hope that others can experience a little of the magic of the Falls themselves, even if they are unable to visit them personally. Who knows, perhaps it will inspire that visit of a lifetime, to the Victoria Falls! If you would like to help support some of the costs of developing this website and researching the Falls, please consider donating something, however small, to help its continued evolution - especially if you've used it as a reference or information source for a commercial activity (and in which case we would expect to be duely referenced and acknowledged). Many thanks for your interest, I hope you enjoy the site!